Investors in James River Coal Co saw new options become available this week, for the May 17th expiration. At Stock Options Channel, our YieldBoost formula has looked up and down the JRCC options chain for the new May 17th contracts and identified one put and one call contract of particular interest. James River Coal Company (JRCC) is tumbling on Tuesday after notifying the SEC it would not be able to submit its 10-K annual report as scheduled and that it is unable to make interest payments on a portion of its convertible debt. 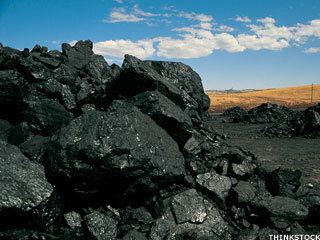 Investors in James River Coal Co saw new options begin trading this week, for the April 19th expiration. At Stock Options Channel, our YieldBoost formula has looked up and down the JRCC options chain for the new April 19th contracts and identified one put and one call contract of particular interest. James River Coal (JRCC) hit a one-year low of 84 cents on Monday after the stock suddenly plummeted shortly after 3:30 p.m. The stock hovered around its previous closing price of $1.10 for much of the day until the sudden plunge at the end of the day. In trading on Monday, shares of James River Coal Co entered into oversold territory, changing hands as low as $0.8301 per share. We define oversold territory using the Relative Strength Index, or RSI, which is a technical analysis indicator used to measure momentum on a scale of zero to 100. Investors in James River Coal Co saw new options become available this week, for the September 20th expiration. One of the key data points that goes into the price an option buyer is willing to pay, is the time value, so with 240 days until expiration the newly available contracts represent a possible opportunity for sellers of puts or calls to achieve a higher premium than would be available for the contracts with a closer expiration. In trading on Thursday, shares of James River Coal Co entered into oversold territory, changing hands as low as $1.58 per share. We define oversold territory using the Relative Strength Index, or RSI, which is a technical analysis indicator used to measure momentum on a scale of zero to 100. Coal stock investors gave a collective yawn at the EPA's announcement today. This year's group for mean reversion is going to be coal stocks. A report says Knight Capital could sell its market-making business. 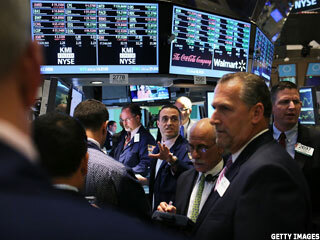 A second term for President Obama has the energy sector worried. Coal stocks selling down. A reactive rally should follow, though I still believe that uptick will fail longer-term. A good report from Arch Coal has ignited others in the group. A Declaration of (Energy) Independence? Both candidates confuse the electorate by conflating energy independence with available energy options. Patriot Coal's bankruptcy has stoked existential fears, but the coal sector's biggest risk may be a slowdown in China. James River Coal Company (Nasdaq:JRCC) hit a new 52-week low Wednesday as it is currently trading at $2.16, below its previous 52-week low of $2.20 with 2.3 million shares traded as of 3:10 p.m. ET. Average volume has been two million shares over the past 30 days.